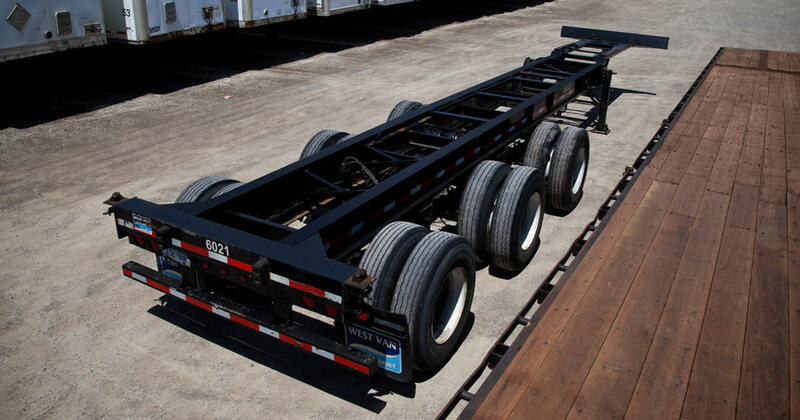 You can count on train trailer to accommodate your chassis requirements at all of our locations across Canada. Availability includes 20’,40’, 53’ and B-Train configurations. They are all thoroughly inspected and ready to roll at a moment’s notice. Remember, we can deliver to your facility or have them ready for pickup at your convenience.